I have been asked this question by every diabetic patient who visits my clinic for consultation regarding their diabetes. This is a difficult question as each patient has an individualized target due to their distinctive metabolic profile and a wide range of medical conditions. 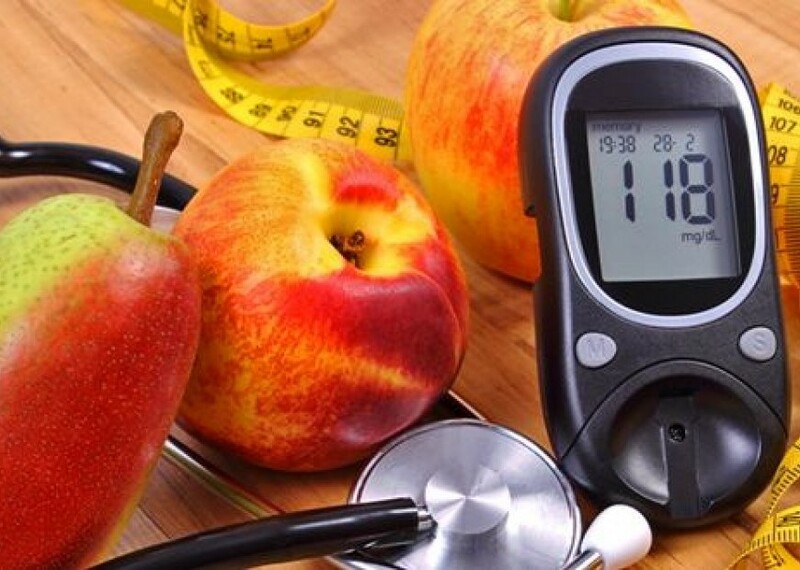 Luckily, there are certain guidelines that we follow to lower blood sugar with care to prevent heart, kidney, eye and vascular complications while diminishing the incidence of blood sugar levels that are too low. Diabetic management started with the discovery of insulin and its therapeutic effect in 1921 by a Canadian, Sir Frederick Grant Banting, who eventually won the Nobel Prize. In spite of this discovery and 60 years later, no one knew the exact the optimal level for blood sugar control and whether managing diabetes has any beneficial impact at reducing vascular complications . A major breakthrough occurred 1993 through the Diabetes Control and Complications Trial (DCCT) study which showed that keeping blood glucose levels as close to normal as possible, slows the onset and progression of the eye disease (76% reduced risk), kidney disease (50% reduced risk) and nerve disease (60% reduced risk). Likewise, the Epidemiology of Diabetes Interventions and Complications (EDIC) study showed a reduction in cardiovascular disease event by 42%. These findings were confirmed in another landmark study called UK Prospective Diabetes Study (UKPDS) 1998 which highlights the importance of lowering the blood sugar to optimum levels early in the course of the problem, because it helps in reducing the risk of coronary events, death, and has long-term benefits on cardiovascular risk. Subsequent studies have overwhelmingly proven the fact that controlling blood sugar to as close to “normal” can lead to lower incidence of foot amputations, heart attacks, dialysis, strokes and death. In trying to achieve good sugar control, patients may sometimes have too low blood sugar (Hypoglycemia). Hypoglycemia occurs if your sugar is < 70 mg/dL. This may cause a very unpleasant experience with symptoms ranging from clumsiness, confusion, loss of consciousness, feeling of hunger, sweating, shakiness, and weakness. However, if blood sugar drops precipitously from a high level, patients can also have the same feeling of low blood sugar which is called “relative hypoglycemia”. Therefore, the key to diabetic management is a balance of attaining optimal blood sugar control while minimizing hypoglycemic events. I follow the American Diabetes Association guideline which says that for majority of adult patients, an HBA1c of < or = 7% and a fasting blood sugar of 70-130mg/dL. The optimal blood sugar two hours after eating a major meal should be < or = 180mg/d. However, if a patient has a significant history of hypoglycemia, advanced heart and kidney disease or advanced serious medical condition, then a less stringent criteria can be applied like an HBA1c of < 8%. This guideline applies to majority of diabetic patients, however, as I would like to emphasize, your doctor may set a different target level based on your present medical condition. A team effort is necessary to achieve best results, which includes your physician, diabetic educator and a dietician located in a structured environment such as diabetes center. There should be a complete range of laboratory testing to be able to measure treatment effects. St. Luke’s Center for Diabetes, Thyroid and Endocrine Disorders (CDTED) offers the most extensive diagnostic tests such as HBA1c, Glycomark, continuous glucose monitoring (CGMs) , antibody testing, Fructosamine, to name a few. The center also has an Insulin Pump Unit and a Pediatric Endocrine Unit for our young diabetic patients. The Center not only offers comprehensive management of diabetic patients, but is also a haven for diagnostic evaluation of other endocrine disorders such as thyroid disease, growth concerns, evaluation of secondary hypertension and hormonal assessment. The patient can choose from any of the 16 adult endocrinologists and 2 pediatric consultants, all of whom are board-certified. The services and management at the Center for Diabetes, Thyroid and Endocrine Disorders of St. Luke’s Medical Center are enhanced through collaboration with Mayo Clinic, one of the most reputable healthcare organizations in the United States. 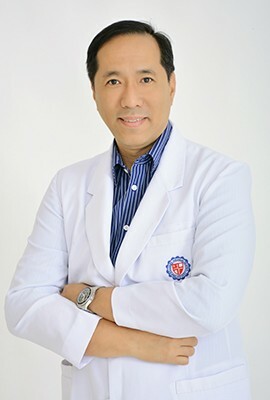 Dr. Michael Lim Villa is the Head of the Center for Diabetes, Thyroid and Endocrine Disorders (CDTED) at St. Luke’s Medical Center-Global City. He is currently the secretary of the Philippine Society of Endocrinology Diabetes and Metabolism (PSEDM).